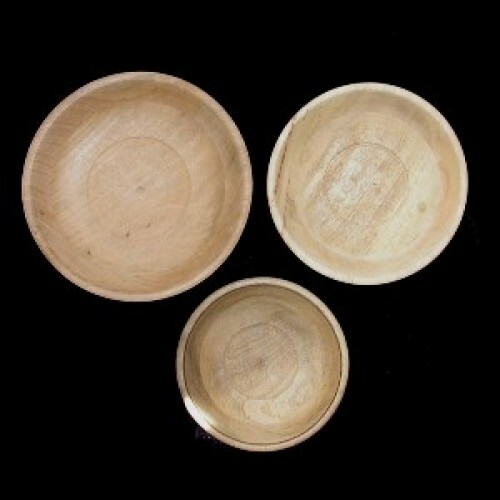 These hardwood bowls come in a nesting 3 piece set of 5.5", 6.5" and 7.5" diameters. They're food sale and can be used for soup, mixing bowls, etc. Laminated from two wood pieces, they're economical and light weight.